Looks good. But is that a clone? that's sharp looking, i like the paint job. 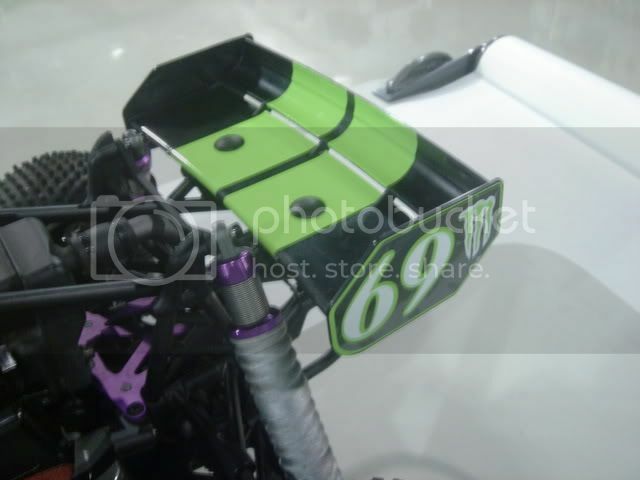 you need to get or make a window kit for it, they help keep the crap out of your carb and filter. No it is a real 5b. I took all the factory decals off. Cant stand factory things..
That is in fact my next purchase, the windows. I am getting the clear ones and tinting them with mirror tint so they will be different. The smoke ones look good but people already have them. 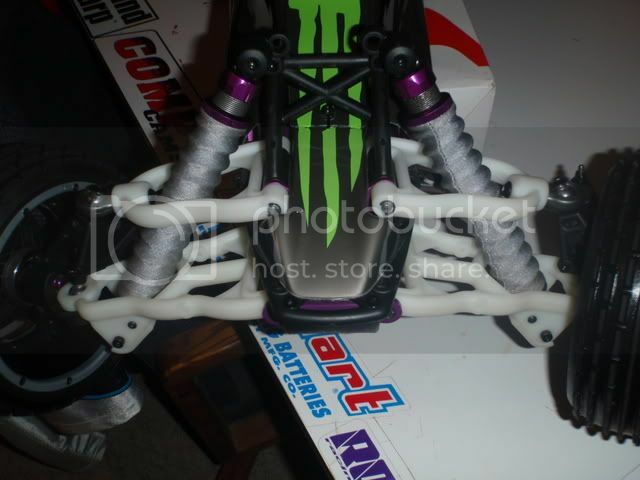 My rear dom will be here next week and hopefully today my white rpm a arms!! 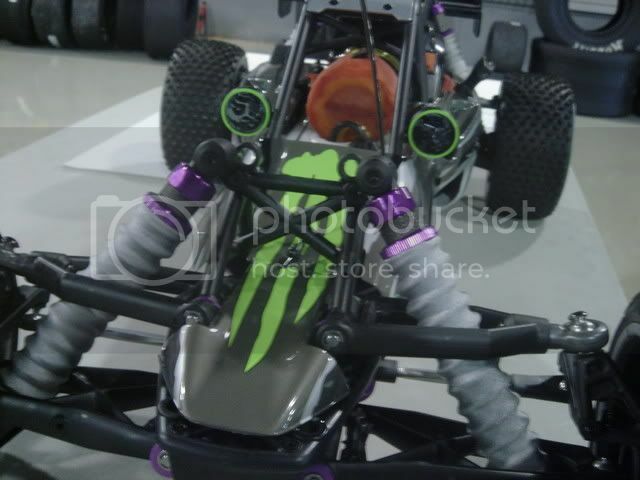 Your Baja looks great man have you ran it yet . 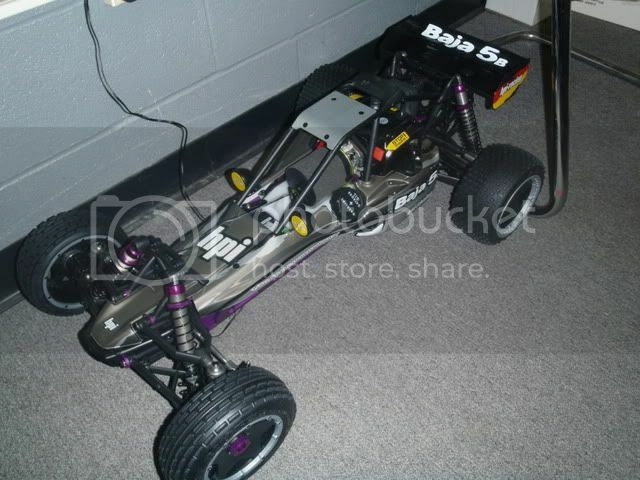 HPI put 1/5 on the map here in the states when they realeased the 5B. I ran it twice so far. had it out in some snow yesterday. Stripped it down and cleaned her for a couple hours. How many body clips are on one? Seems like everything is held on with a body clip haha. Hrmmm, just looks like a clone. Its cool. Maybe this will help you. 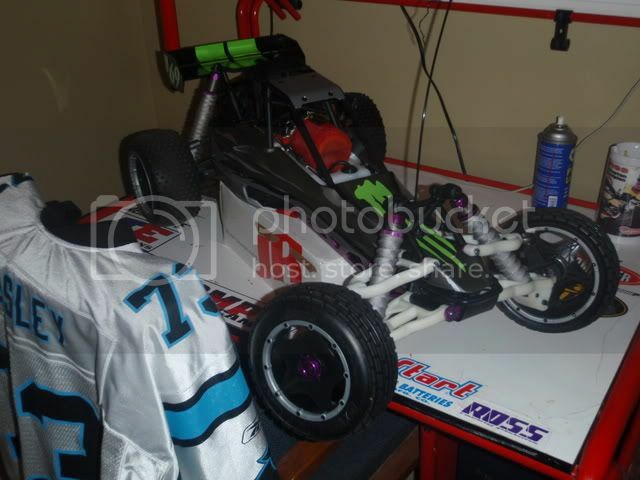 Have you seem the Baja 2.0 from hpi yet looks like they added another one to the lineup are just upgraded the RTR 5B check out the link in my above post. Yeah it is cool looking. Mine won't look the same for long. I plan on getting rid of the purple sooooooon! 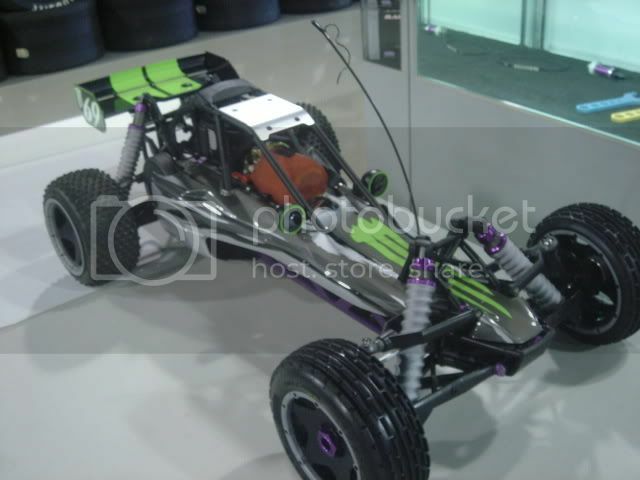 Yep I remember when everyone started the Get rid of the purple craziness back long ago , it was fun stripping the buggy down and building it up with a diffrent colour. Got the front a arms on it tonight. They are tough looking. Alot thicker and better all around.